Our Cremation Keepsake Cuff Links are made from optical clear Pyrex glass and interwoven with your loved one’s cremains, and attached to a Stainless Steel Cuff Link. They can be ordered in most of our colors that our pendants come in except in the Black & White or the Breast Cancer Angel. 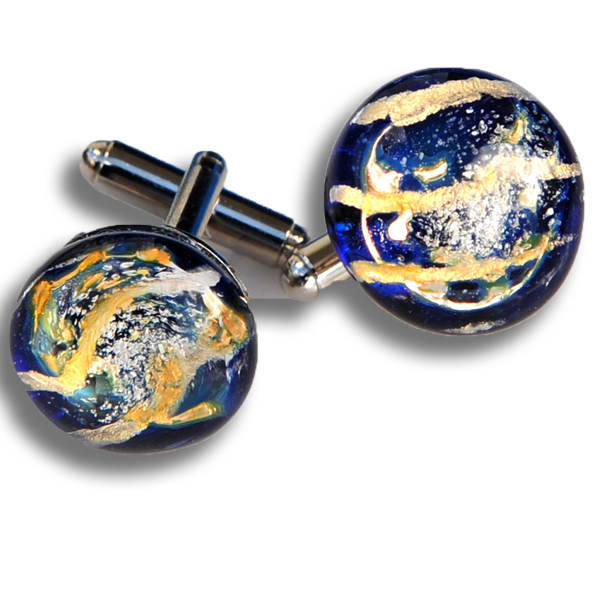 When ordering ask for a Heavenly Blue Cuff Link, Black & Gold Cuff Link, etc. Please note that each individual cuff link will be slightly different as no two can ever be the same.